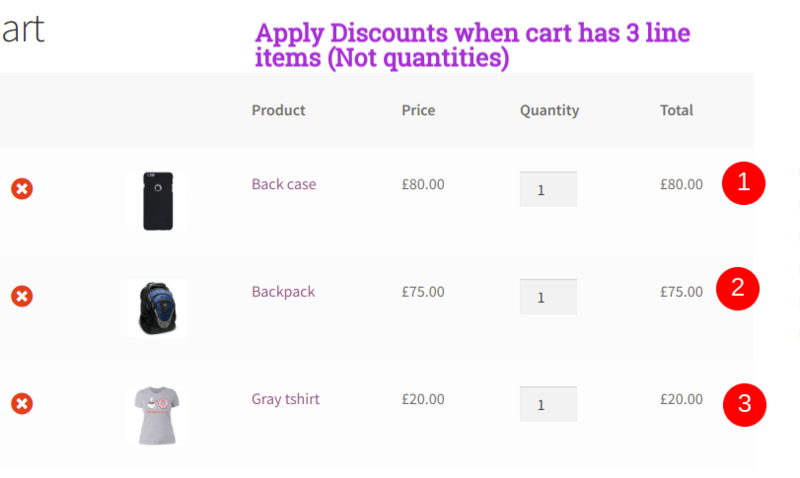 This is a Cart based Discount rule to consider the Number of individual products are in Cart as a Condition to apply discounts. Each individual products are considered as a line item in cart. However, when you have variable products, each variable will be considered as a separate product as per woo-commerce. 10% discount when cart has more than 4 different products. In General tab, you can provide a name to the discount rule and a description which is optional. Choose Number of line items in cart atleast. This line items are individual product number and which will not take the quantities purchased as a condition to apply the discount. 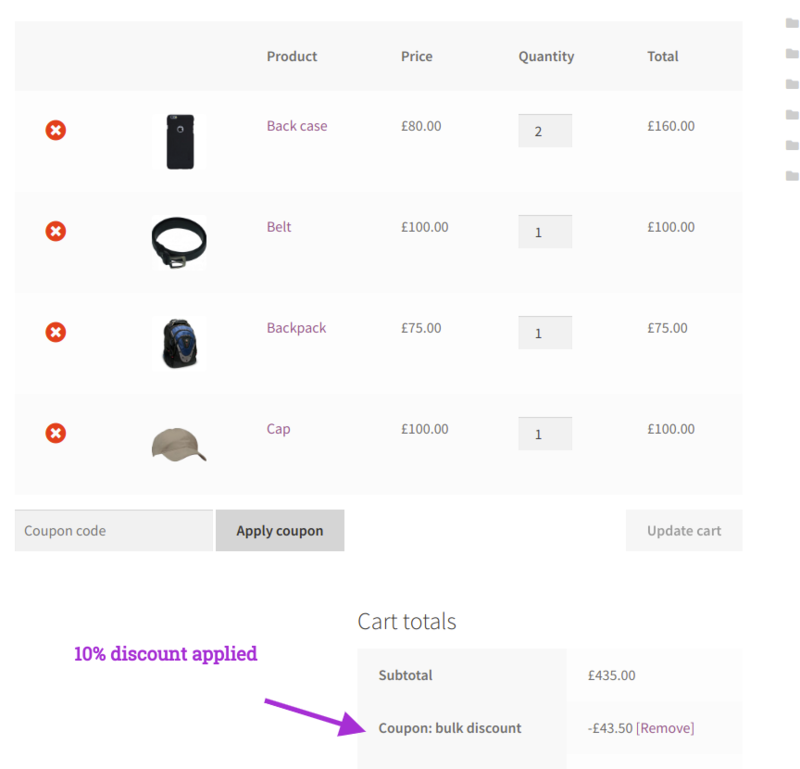 Also, you can also restrict the discount within a range of the products. Like by selecting the other condition "Number of line item less than" so that discount will stop after the number of items crossed the set up limit. In this example, we are using percentage discount. Similarly, you can use cart based rules on different conditions.